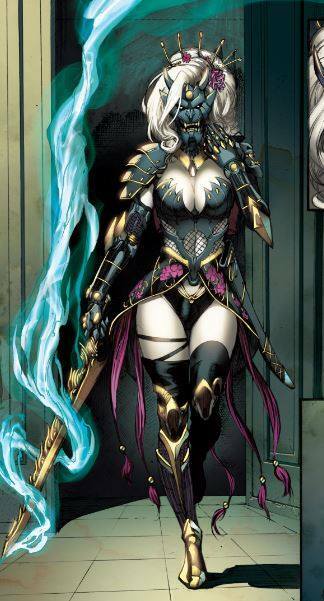 With Lady Death: Scorched Earth launching on Kickstarter in about 5 weeks we thought it would be fun to do a character SNEAK PEAK for the upcoming story. 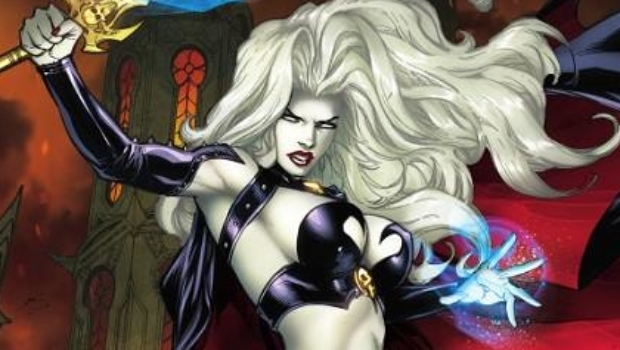 A figment of Lady Death’s forgotten past, the devil woman known as ATROCITY has vowed to destroy our deadly diva at all costs. Rumor has it Atrocity once studied under the mysterious Assassin Mages of the Ninth Ring, but she was cast out only to seek immense power in the darkest, nastiest corners of Hell. To GAUGE, an elite mercenary employed by the nefarious HALO corporation, life is war. Descended from Samurai, Gauge has embarked on a quest to become earth’s deadliest man. 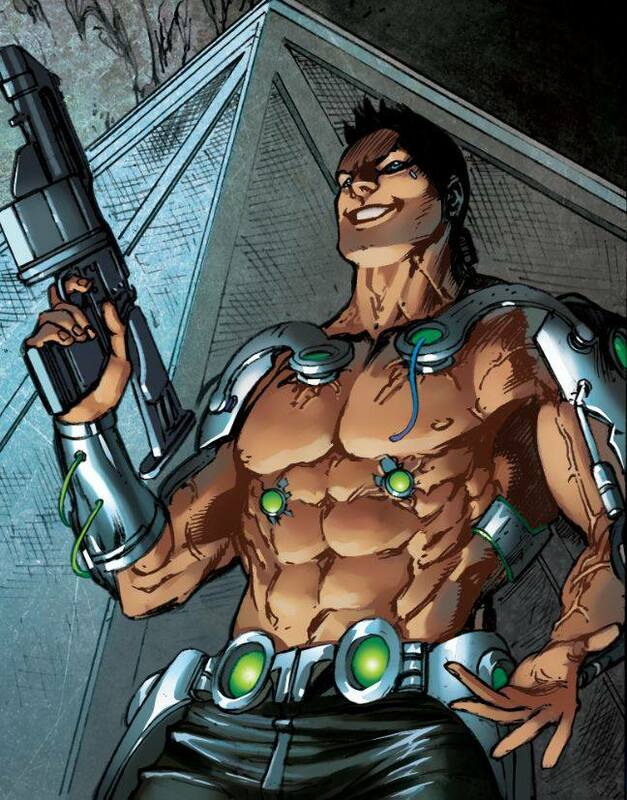 To this end, he has poisoned his body with combat drugs and sacrificed his own humanity for the sake of necro-enhanced cybernetics. He claims his ultimate goal is to rid the planet of “evil” supernatural entities plaguing mankind. But in truth, Gauge fights because it is all he has ever known. Almost nothing is known about the supernatural entity known as Hannya. A mere teenager, her mystic powers appear to rival Hell’s most lethal sorceresses. But why does she call Gauge—a man claiming to hate “unnaturals”—her father? 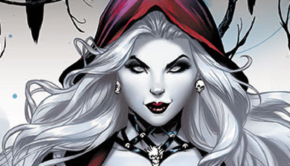 And why does she share Lady Death’s ghost-pale skin? 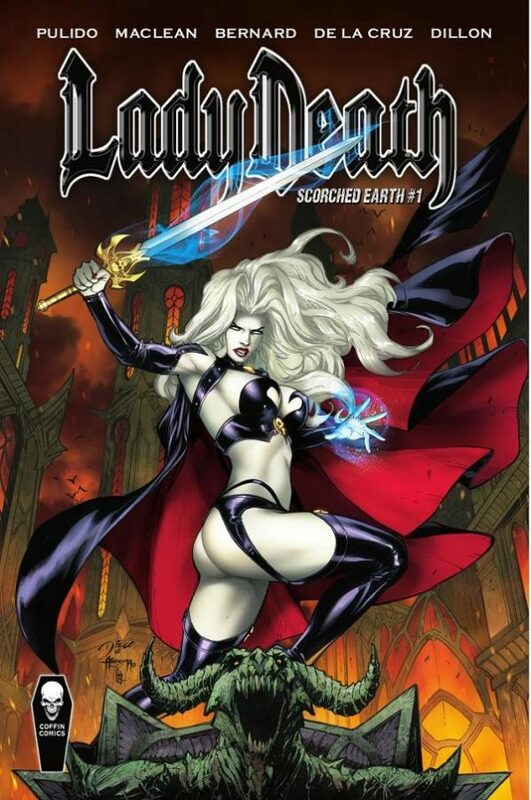 LADY DEATH: SCORCHED EARTH premieres on KICKSTARTER on Wednesday, March 6, 2019 at 7:00PM MST (9:00PM EST)! Don’t miss it!